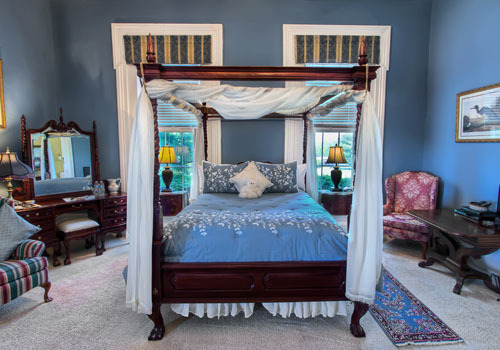 Featuring a stately cherry, 7-layer Blissful queen-size canopy bed with 600 thread count Egyptian Cotton Linens and Deluxe Fiberbed Topper and a luxurious Alpaca Blanket. 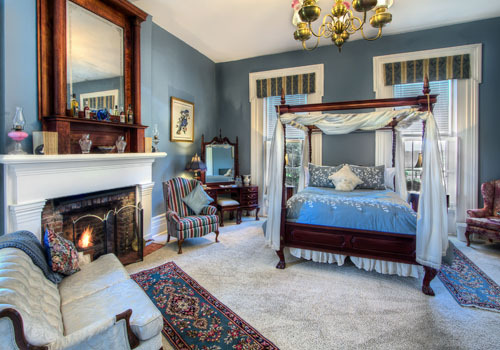 An antique love seat invites you to lounge before the gas fireplace. 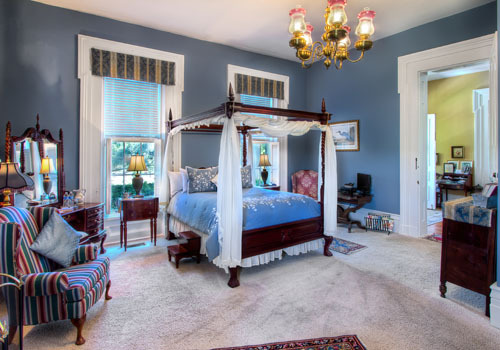 Plush carpet, turn of the century frosted rose colored chandelier, designer window treatments, and privacy plantation shutters which will beckon you into a private world of elegance and comfort. Audubon’s Fine Art of treasured bird illustrations adorn the walls. Three 9′ windows overlook the neighboring race horse farm and our all-white flowering, “Butterfly Moon Garden” which glows at night. 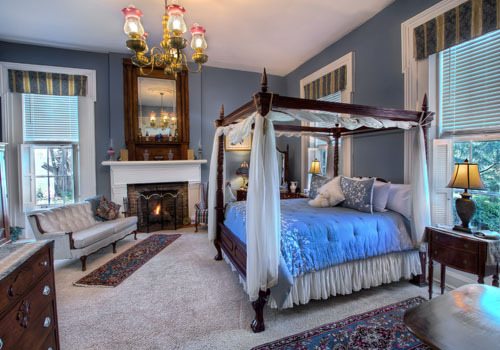 Adjoins the Stephen Collins Foster Room for 2-Room Suite Accommodations – ideal for family and friends traveling together who are interested in having adjoining rooms.